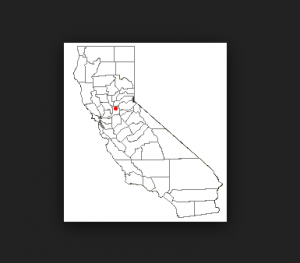 Rancho Cordova is located in Sacramento County, about 15 miles from the State Capital of Sacramento. Makes sense, right, that an official agency would be near our state capital. Rancho Cordova is a new city – incorporated only in 2003, but its history stretches back to the Gold Rush and the 49ers. With gambling now legal in certain communities in California, Rancho Cordova is home to the Cordova Casino at 2801 Prospect Drive, Rancho Cordova, CA 95670. You can play EZ Baccarat, Three Card Poker, Pai Gow Poker, Texas Hold ‘Em and Omah Hi-Low Poker at this establishment. The population of Rancho Cordova is 68, 453 as of July 1, 2015. So there you have it – some “fun” facts about Rancho Cordova, California, home to the Bureau of Automotive Repair home office. Not that you’ll always be visiting… but if you receive a citation, letter, or other correspondence from the BAR, now you have a sense of the “where” behind the organization.